You will be charmed by the welcome of my team, seduced by the Mercure Paris Massy Gare TGV atmosphere, enchanted by the design of our rooms, delighted with our location. The only thing left is to say, "Come see us soon!" 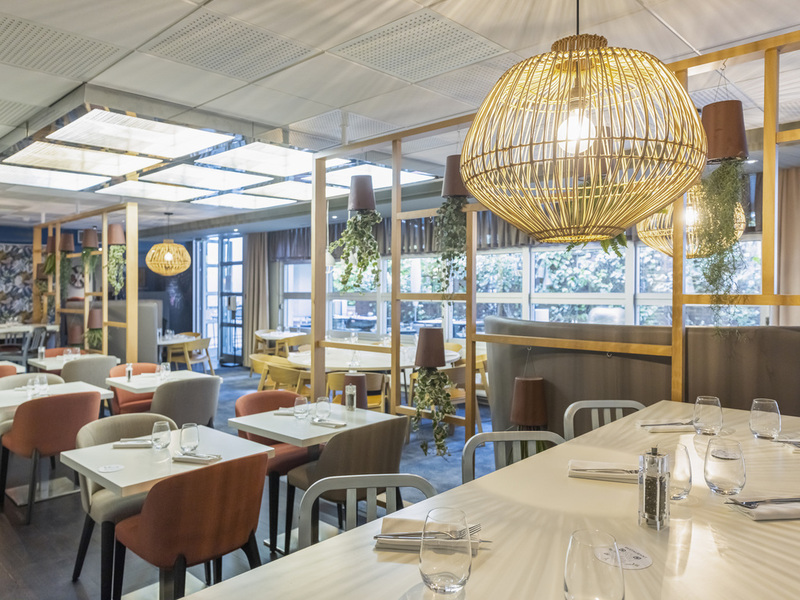 Located in the heart of the business district of Massy, 2min from the TGV train station and RER B, C, we are waiting for you to have a drink in our nice bar lounge, to offer you lunch Made in Massy, or rest for a night in our incredibly cozy range of beds. Here it's like home, but it's our team that takes care of you! Central location: In the business district center, 150m from the TGV station, 12km from Paris. A French-style place of your own that you'll have a hard time leaving! We would like to inform you that the restaurant will be closed on the evening of December 21 and all day on December 24th and December 25th, and will reopen on December 26th. Happy holidays. Choose the comfort of a Standard Room or take advantage of additional services with the Superior Room. Our Les Saveurs restaurant offers seasonal cuisine using fresh products and accompanied by our Grand Vin Mercure fine wines, available by the glass. At the bar, you find a wide selection of cocktails as well as light meals and a snack menu.